There was much excitement here at the Shiba Shack this morning, as Kimiko has cornered a rat in the BBQ. I KNOW, right? kind of gross for us humans, but super exciting if you’re a Shiba inu. 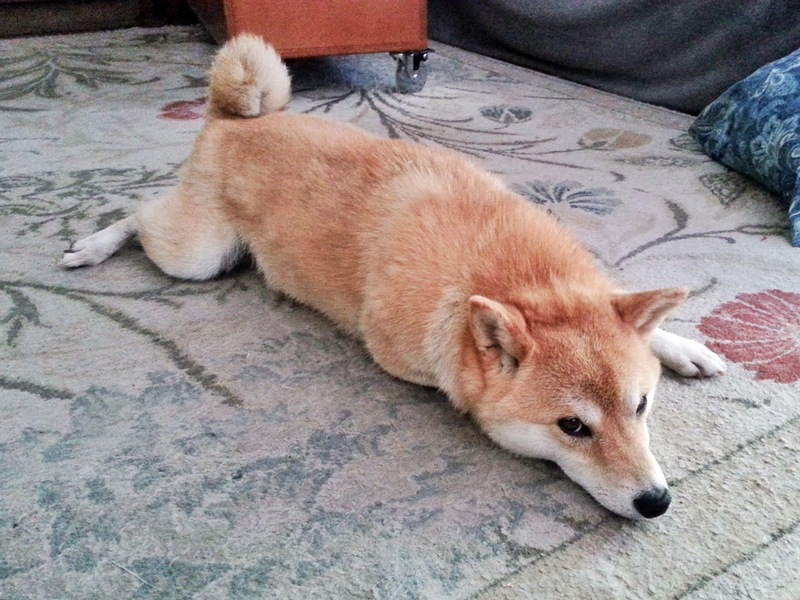 … so there’s a little bit of self-shaming going on here, what with Shibas being natural born killers and all. 22 Jul	This entry was published on July 22, 2013 at 12:08 pm and is filed under general shiba-ery. Bookmark the permalink. Follow any comments here with the RSS feed for this post. Older: Hurry up! There’s beach fun to be had!